Rescue crews on Monday believe they found the car belonging to an 18-year-old Tracy woman who went missing over the weekend after her car veered from the roadway and crashed into the Alameda Creek near Fremont. The woman, who police say likely did not survive the crash, was still missing as of Monday after her 2000 silver Honda Accord on Saturday crossed the center divide on Niles Canyon Road, collided with a white Honda Accord and plunged into the creek, according to police. Initial reports indicated it had been a solo vehicle crash. 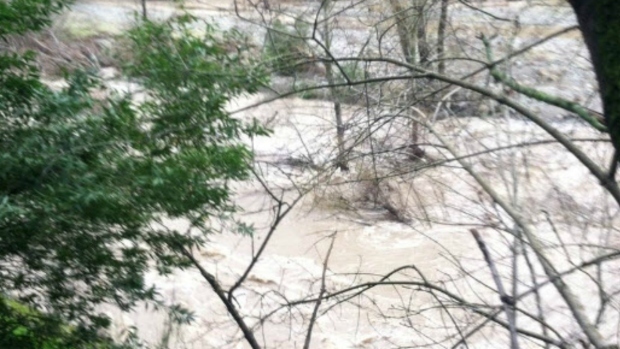 Crews will resume searching for an 18-year-old Tracy woman who went missing after a vehicle went off the roadway and plunged into Alameda Creek, near Fremont, on Saturday. Bob Redell reports. Alameda County Sheriff's spokesman Sgt. Ray Kelly on Monday said that roughly 30 family members of the missing teenager walked along the creek in hopes of finding any trace of the woman or the car. One of the searchers noticed an unusual sight in the water, prompting authorities to launch a drone in order to get a closer view. Drone footage revealed two tires sticking out of the rushing water. Officials with the Alameda County Sheriff's Department did not officially confirm, but they said the located vehicle likely belongs to the missing woman because it was spotted roughly 100 yards from where authorities believe the crash occurred. "When you walk with the family and the mom and dad, it's very moving," Kelly said. "It is their determination that helped them find the car today." The teen just graduated from high school and was attending college, hoping to become a social worker. 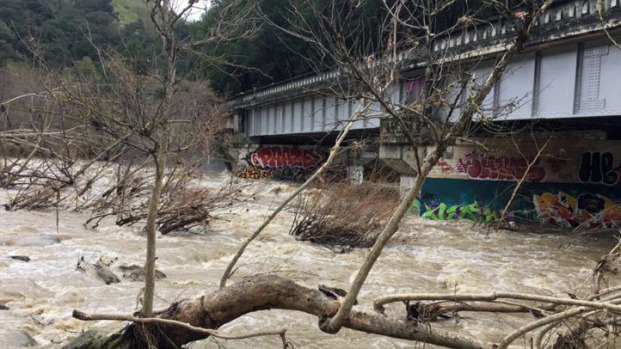 An 18-year-old Tracy woman is missing after a vehicle went off the roadway and plunged into Alameda Creek, near Fremont, on Saturday, according to the Alameda County Sheriff's Office and the CHP on Sunday. Marianne Favro reports. Crews will not remove the vehicle until Tuesday because of unsafe water conditions. Removal teams cannot begin recovery until the water level and current subside. The teenage driver was traveling from Tracy to Menlo Park when her mother notified police that she was missing. Police on Monday closed Niles Canyon Road in both directions while they searched for the car and the woman. The road was scheduled to re-open around 3 p.m. Authorities plan to close the same stretch of pavement on Tuesday beginning around 9 a.m. or 10 a.m. in order to continue the search, police said.